I know Jen and I often talk about making easy meals and simple recipes. Other times we obviously take days to marinade, brine, experiment, etc. In the realm of quick and easy, this recipe rules all. 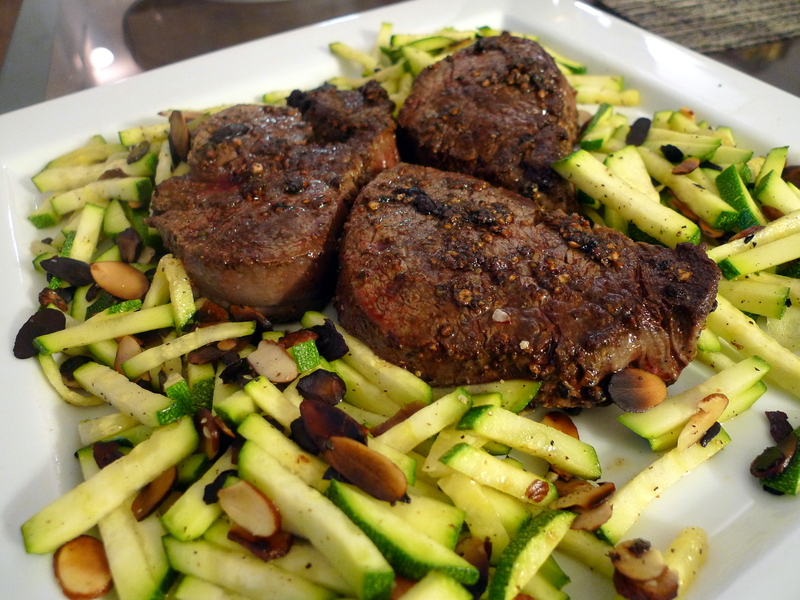 Honestly this filet mignon, paired with Zucchini and Almonds is the epitomy of fast cooking and deliciousness. 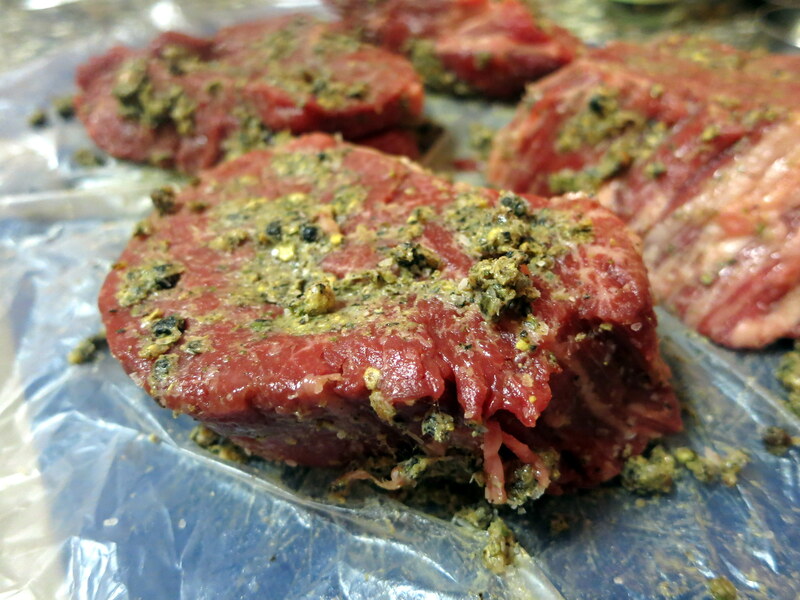 The meat requires no marinating, just a simple coating of pepper and salt. It cooks in under 10 minutes and is absolutely juicy and tender. The side dish of zucchini cooks in under 5minutes and also requires minimal preparation time, so is a perfect complement to the filet. And despite the ease of cooking, the meal has an air of fanciness and looks complicated. 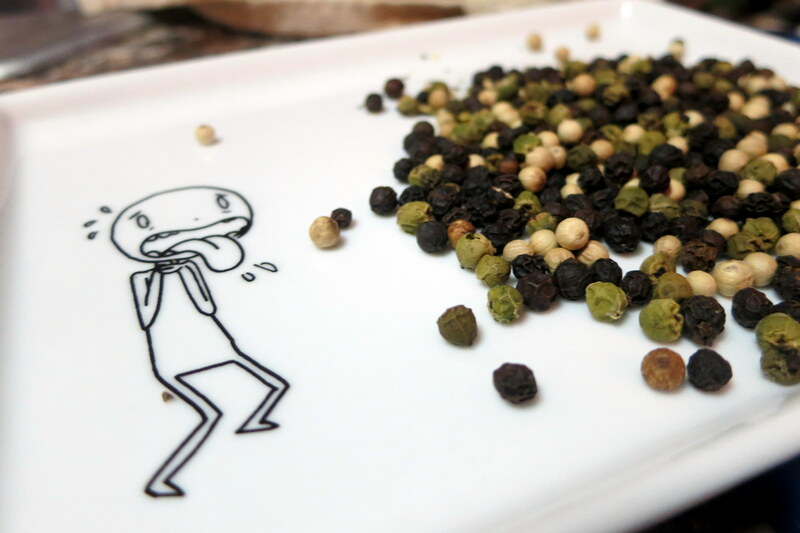 Place both peppercorns in a plastic zip-top bag and crack them on a work surface with a mallet until they’re broken into small pieces but not pulverized. I actually used a mortar and pestle here; I love aroma spices release when you break them in it. Place them in a medium bowl, add the butter, and mix until combined. Season the steaks all over with salt. Divide the peppercorn butter among the filets and rub to evenly coat both sides. Heat the oil a large frying pan over medium-high heat until shimmering, about 3 minutes. Add the steaks and cook undisturbed to the desired doneness, about 4 minutes per side for medium rare. Transfer the steaks to a cutting board to rest for at least 5 minutes before serving. 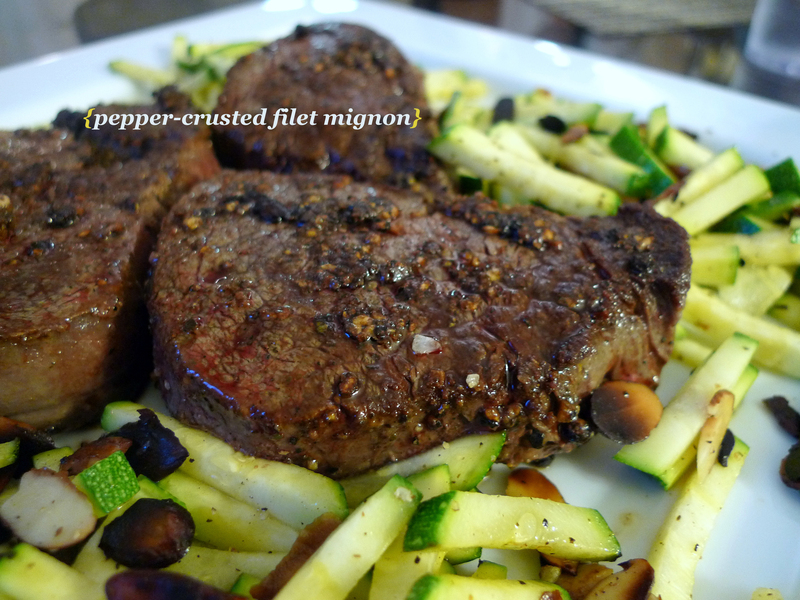 I suggest serving the filet mignon with Zucchini and Almonds, a very simple and healthy side. 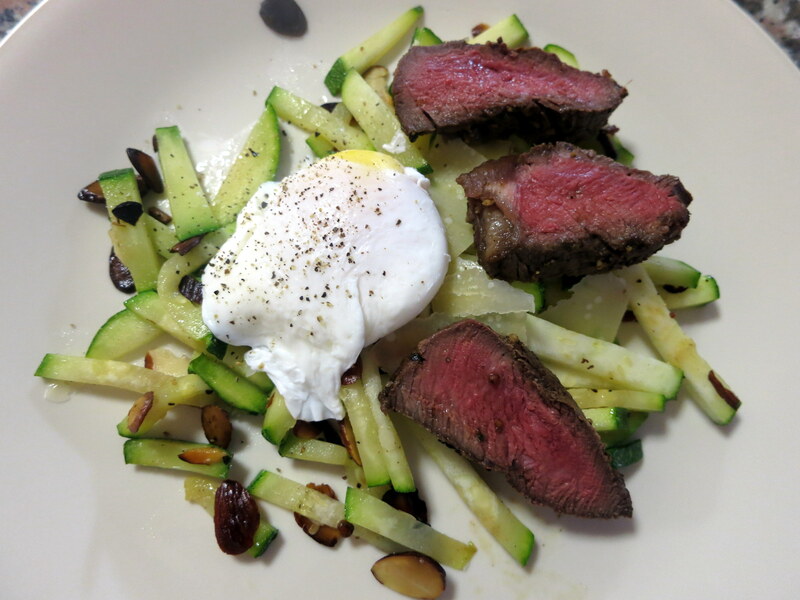 If you have leftovers, I suggest you make a version of the classic Steak and Eggs by throwing a poached egg on the bed of Zucchini and Almonds surrounded by slices of the filet mignon. ← Happy 2nd Birthday Food Comas! That meat looks incredible. Love the photo of the peppercorns too.